Slinger is a ranch jacket designed by Stevenson Overall Co. 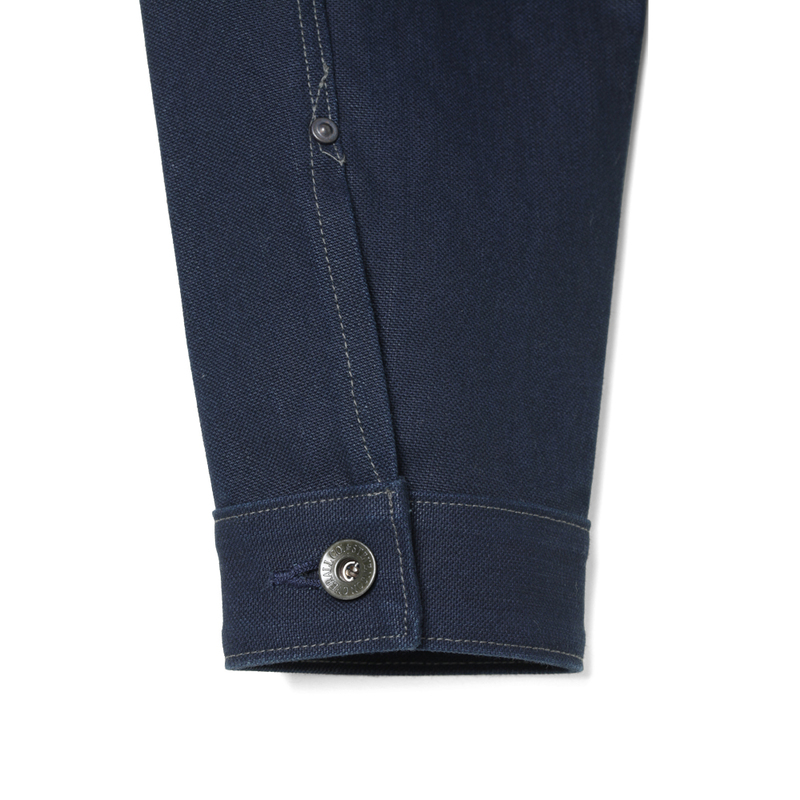 The front body features V-shaped pleats on both sides, reinforced with chest pockets and rivets for a distinctive design. 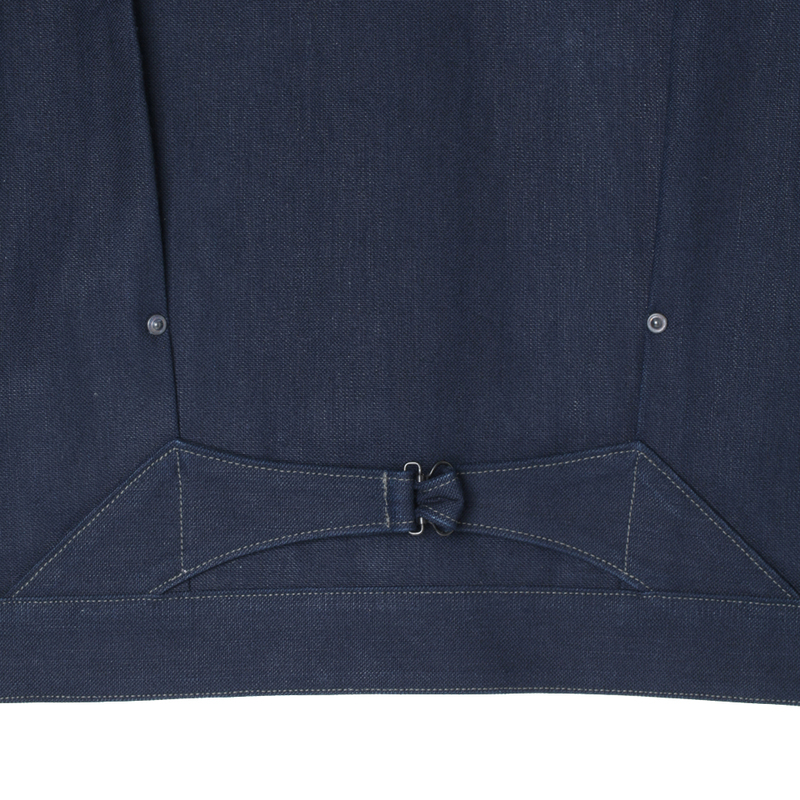 Positioning of the top button is low, allowing the collar to open and structure into a ‘horizontal collar’. The front yoke is sewn diagonally, using flat felled stitching with 5.6mm twin-needle head, and all lock stitching is done with a narrow width for a clean finish. 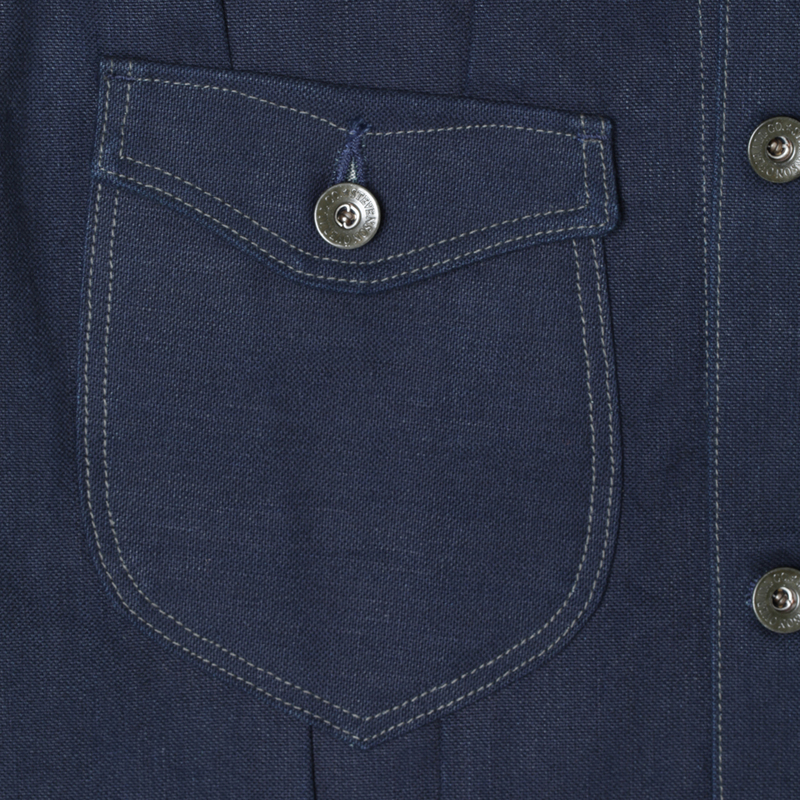 Pocket flaps feature a curved stitch design. Backside features vertical pleats with a large buckle-back and each end is inserted between the pleats and sewn.